July 8, 9, 10, 11 & 12, 1969. The programme announced: “Boeing-Boeing is the final production of the Wick Theatre Company’s Season of comedy. We hope you enjoyed the plays and look forward to your continued support. * But .. Unfortunately a hold up with the scenery meant that Tuesday’s first night had to be cancelled. 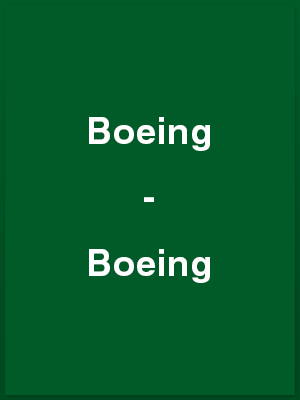 Boeing-Boeing, translated by Beverley Cross from the original of Marc Camoletti, has a Georges Feydeau flavour about it which is admirably brought out in the current production of the play by the Wick Theatre Company. Bernard’s flat, near Orly Airport in Paris, has a room with six doors creating difficulties with set designer and actors alike. The plot involves the romantic engagement of Bernard with three air stewardesses employed respectively by TWA, Air France and Lufthansa and is extremely funny. The two men of the cast are Bernard, played by Barrie Bowen, and Robert, his friend, played by a newcomer to the company, Neil Shepherd. They are excellent foils for each other and deal adeptly with the complicate task of keeping three girls each from knowing that the other exist even when all three are in the same flat. Janet of TWA is played by Wendy Rogers, Jaqueline of Air France by Sally Bishop and Judith of Lufthansa by Margaret Ockenden. They are excellently contrasted and contrive to bring out the national characteristics of their respective countries. Completing the cast is Audrey Baldwin with a really splendid piece of comedy acting as the long-suffering housekeeper. This final play in Wick Theatre Company’s 20th season affords a pleasant, light-hearted evening out. An unexpected hold-up over scenery forced The Wick Theatre Company to put off Tuesday’s opening night of its latest production Boeing-Boeing, final play in the company’s successful season of comedy. But by Wednesday the situation was back to normal, and the small cast of six had a chance to make up for the lost day by giving a performance that makes a triumphant finale to the comedy series. The play, which runs until tomorrow [Saturday], has already prove its worth with continued success in the West End. Written by Marc Camoletti and translated by Beverly Cross it has a simple, but effective plot – almost corny, but with that ‘certain something’ which makes some plays stand out a sure-fire winners. With a flat near Orly Airport, Paris, bachelor Bernard has the perfect set-up for theoretically foolproof arrangement. By clever use of the airline timetables he has succeeded in finding himself a trio of girlfriends – all stewardesses with different arrival and departure schedules. Of course, the situation is too good to last, and what happens when the lines get crossed, and all three girls turn up at the same time provides the opportunity for a good deal of high comedy, plenty of rushing in and out of bedrooms and some of those classic misunderstandings so beloved of French farce. Angela Bolton’s careful production copes well with the pace and the natural build-up in the last act. Her work has obviously been made easier by a cast with a strong grasp of the idiom, combined with good timing and a pleasantly light touch. They even manage to handle the problem of accents with ease, often a stumbling block, with Margaret Ockenden’s German stewardess Judith an outstanding contribution. Wendy Rogers comes over equally well as Janet, the American member of the trio, while Sally Bacon makes a confident Jaqueline the English stewardess. Full marks to Barrie Bowen as the flustered Bernard and Neil Shephard as the unnerved Robert. Their performances, as they should be, are the mainstay of the production. Audrey Baldwin adds some humorous moments as the long-suffering help, Bertha. Christina Lemsal is stage manager, and the set was designed and constructed by George Laye and members of the company.